This electric railway line heralded a new era of environmentally friendly mass transportation system, which is among the most advanced transportation system in Asia at that time. And during those times, electric trains had become the favorite transportation for commuters who traveled from housing suburbs of Weltevreden to Menteng, to their working places in the old town of Jakarta. Fabricated rolled steel sheets, plates and shapes make up the underframe and superstructure. Roof and sides of the driving cabs are insulated with a flameproof material. Bogie frames are fabricated from plates and shapes by electric welding and have lubricated centre plates equipped with hard steel liners. The trucks themselves are of the fully-equalised swing bolster types, with wheels having separate tyres. Hard steel thrust wearing faces are fitted to the roller-bearing axleboxes. Straight air brakes are applied to the locomotive with vacuum equipment for the train, and operate also in conjunction with dead-man control. A three-cylinder combined compressor-exhauster set has two of its cylinders acting as an exhauster and the third as compressor. Throughout its developments, the electric railway lines in Jakarta were extended onto Bogor, which were known as Buitenzorg, by adding overhead wires to the existing mainline. With the development of this electric railway lines, the transportation between these cities were improved, especially for the commuters who lives in Bogor and worked in Jakarta. To serve this Jakarta-Bogor electric railway line, the Dutch East Indies government ordered several types of electric locomotives to pull the trains. One of them is the type, which were numbered 3201 to 3206, built by Werkspoor-Heemaf. This locomotive even has a nickname: “Bon-Bon”, due to its boxy shape and attractive color, which resembles chocolate confectionary package. These locomotives were used to pull the fast express trains, passenger trains, or the freight trains. But due to its slower maximum speed (compared with other types of electric locomotives), these locomotives were later used to pull the slower passenger trains, which had more frequent stops, and commonly known as local trains. 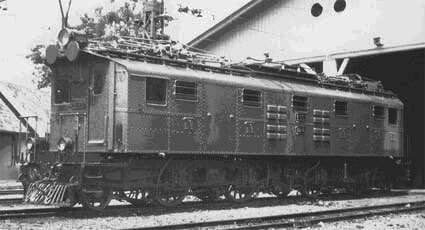 After the Indonesian Independence, these locomotives were still used to serve its users on the Jakarta-Bogor line. However, after the independence, the Indonesian government never purchased new electric locomotives to add or replace the existing fleet of locomotives. As a result, due to its old age, these electric locomotives were deemed obsolescent, and replaced by Electric Multiple Unit cars in 1976. And these locomotives were eventually withdrawn from the active service. Since then, the majority of the electric locomotives had disappeared, as they were scrapped. Only the Werkspoor-Heemaf 3202, which was renumbered as 202, which is still derelict at Manggarai Workshop, Jakarta. Before April 2006, this locomotive is simply forgotten, and neglected in poor condition. A stark contrast, compared to its meritorious operational days, where it hauled its faithful customers to their ultimate destination. 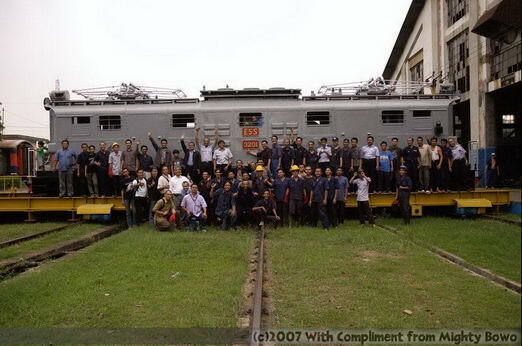 In June 2007, the WH202 electric locomotive rehabilitation program was finally completed, and the electric locomotive was repainted back to its original color. IRPS have opened to accept donation from anyone who wished to support the preservation project of Werkspoor-Heemaf 202 (WH 202) electric locomotive. You could also participate by giving technical support, documentation assistance, logistical support and any other means of assistance. For financial donation, you can transfer your money to our bank account at Bank BCA, account 8690380898 (of Saleh Purwanto) at KCU Margonda branch. Please confirm to Saleh Purwanto (Mobile Phone Number: +628158875915) by phone or SMS after you transfer your money. 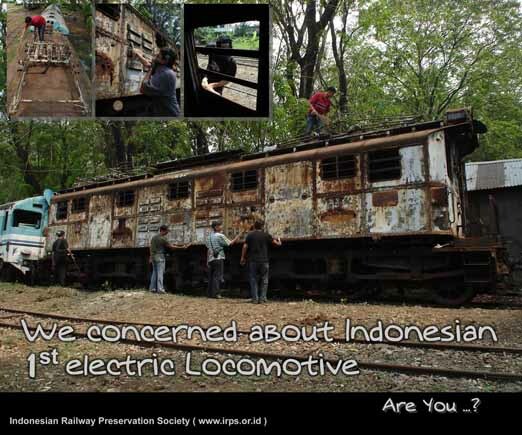 We need around IDR 66,000,000 for rehabilitation the locomotive. Until May 29, 2007, we have collected IDR 4,059,887 in our bank acount.